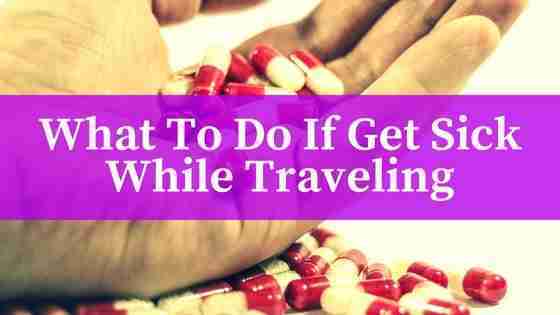 What To Do if Get Sick While Traveling Abroad? It is easy to get sick while traveling, as the body may not be used to the climate, may be tried or not used to the food. Though it is very annoying, it is crucial to find solutions so we won’t be sick on our holiday. So the questions is what to do if get sick while traveling abroad? Unfortunately, it is more challenging to be sick on other country or city, than in our own home. This is the main reason, why you should keep on reading this article to find out what to do if you get sick while travelling. First thing first, it is easy to determine, when we feel very tired then it is easy to catch cold. As the name implies, catching cold should be anticipated by keeping our body warm. The body’s immune system is decreased significantly when the body feels cold. If you are taking a plane, it is easy to call the cabin attendant to bring you warm water or milk. Next, you should be ready with some medicines, particularly if you are a kind of person who has allergies, particularly to cold, dust, etc. For the best prevention, you might want to apply cajuput oil to the body, as to keep it warm, instead of taking medicines too often. Is it possible to have plenty of rest? If you are doing outdoors stuff, then you might want to cancel your mountain hiking for a few days, to avoid fatigue. But, if you only plan to enjoy great spots through the town, you can make the most of your hotel room to recover. It is important to make sure that you don’t eat unhealthy foods or drink cold beverages too often because they can have significant impact to your body condition. If you travel alone, you can ask the hotel’s staff to deliver warm water or provide special menus like chicken broth soup, fruit or vegetable salad, etc. You can avoid having a shower or you might want to use hot water to freshen your body. Once you take a hot shower, keep your body warm by drinking warm water or milk. Avoid coffee, as it causes dehydration to the body. For sure, you need to keep yourself hydrated to maintain your immune system. Some diseases can be very bothering or even disastrous. This is particularly when you visit some outdoor places like wildlife conservation, gardens, mountains, beaches, etc. Mosquitoes are the main threat, as most tourists from four-seasoned countries may suffer from malaria, dengue fever, etc. Such diseases can cause death, when users ignore their symptoms. For those who might suffer from severe illnesses, then it is very crucial to contact the emergency unit at the nearest hospital. It can be somewhat daunting to find it precipitously. This is why, having emergency hotline numbers of medical centers before visiting certain cities or countries is always recommended. Finally, even if you feel healthy before your trip, making a good preparation before leaving is always useful. You won’t find problems when you join a package tour because your travel agent can deliver assistance in the fastest way possible. 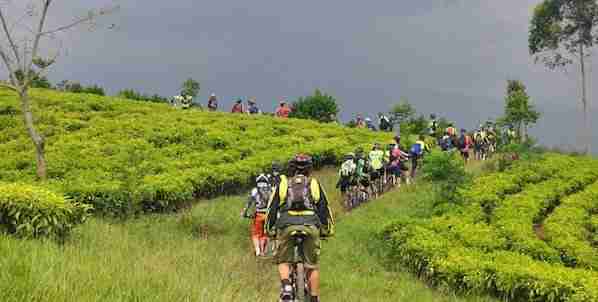 But, if you are a backpacker, then there is nothing you can do, but following the aforementioned instructions and help yourself. And that’s it for now! 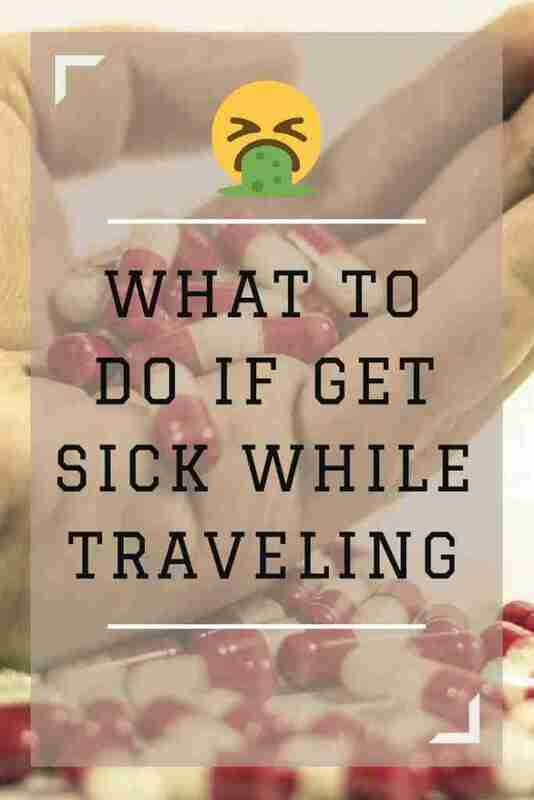 I’d love to know if this guide on the what to do if get sick while traveling abroad has helped you. Let me know if you have any questions and let me know if you go.